It's easy to condemn your fellow Chicagoan for questionable decision-making, but how about a pat on the back for all the things he or she is 100% nailing? Let's hand out real-life achievement points for those of you handling the following citizenly duties correctly. 1. You don't futz with parking boxes anymore. 2. You always wear layers. Always. 4. 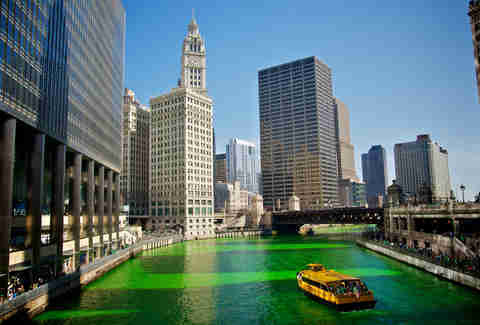 You always know where you can use a bathroom in the Loop. 5. You leave 15 minutes early to avoid construction no matter where you’re going. 6. ... and you never get your hopes up that said construction will be finished. 7. You take advantage of free museum days. 8. You day drink respectfully. 9. You can rattle a list of best local breweries off the top of your head. 10. You're willing to explore for great tacos. 12. … or Judge Mathis. 13. You diversify your brunch habits. 15. … and a shovel, and an ice scraper. 16. You know exactly where to find the best burger in town. 17. You know jerky behavior on the CTA when you see it. 18. You schedule proper nap time after Baconfest, Mac & Cheese Fest, and Donut Fest. 20. 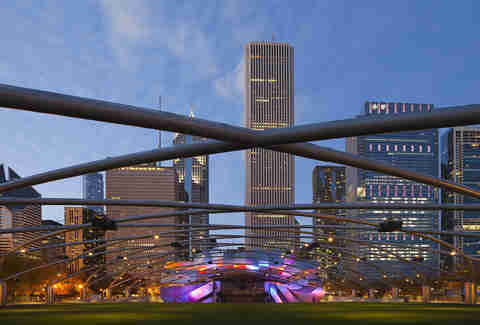 … and the free concerts at Millennium Park. 21. You know when to go to your neighborhood festival. 22. You know when to avoid other neighborhood festivals. 23. You know when there’s street cleaning on your block. 24. You’ve co-existed with at least one shady landlord. 25. You know where to score the best food at O’Hare. 26. You’ve picnicked at Ravinia. 27. You’ve got your Italian Beef Stance down pat. 29. You always have cash ready for the Tamale Guy. 30. You've brought Malort to a potluck ("it's a digestif"). 31. You always make sure heat is included. 32. You’ve actually been south of Cermak-Chinatown. 33. You know which bars are open ‘til 4am. 34. You can decipher parking signs in River North. 35. 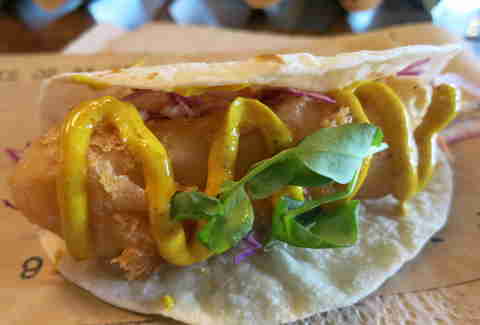 You spring for the house-made tortillas at L'Patron. 36. You know where to score biscuits and gravy at 3am. 37. You’ve run the Chiditarod. 38. You’ve recovered from whiplash at Whirlyball. 39. You’ve seen a movie at The Music Box with a live organist. 40. 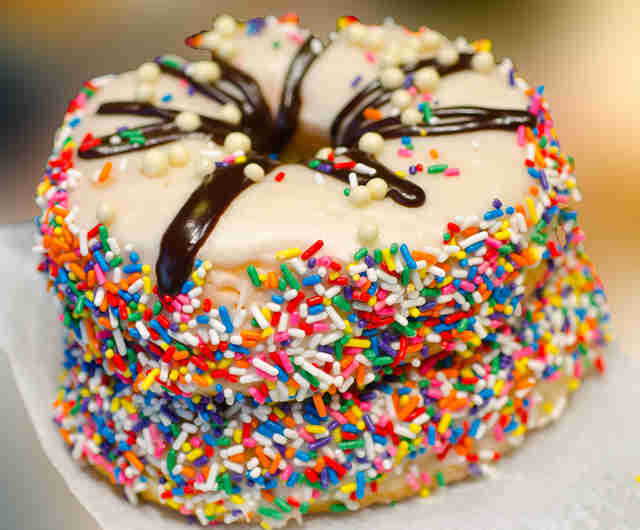 You always know where to find the closest donut. 41. You know what the stars mean on the flag. 42. You still call it Sears Tower. 43. You’ve considered reenacting Ferris Bueller’s Day Off. 44. You've won a free drink on Jolanda at turtle racing. 45. Most of your furniture is from second-hand stores in Andersonville. 46. You make a point to try new spots during Chicago Restaurant Week. 47. You know which direction is east. 48. You’ve made friends with access to rooftop decks to watch summer fireworks. 49. You only go to Navy Pier to take in some Shakespeare or IMAX. 50. You always know a great cheap comedy show. 51. 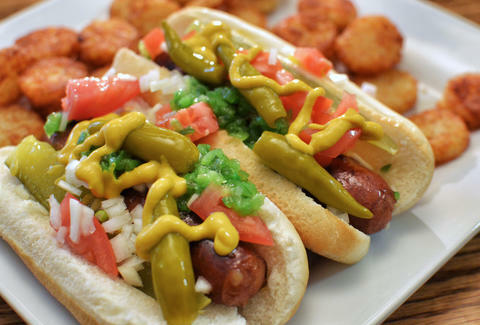 You know how to properly layer a Chicago dog. 52. You always know where to find free parking. 53. 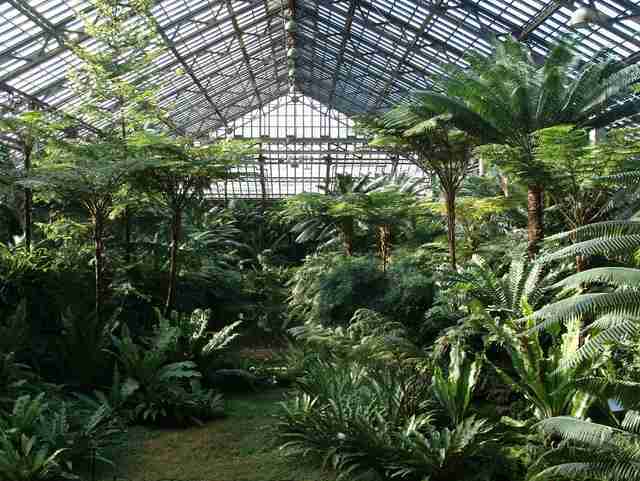 You’ve played hide-and-seek at the Garfield Park Conservatory. 54. You’ve never dated someone who lives more than one bus-transfer away. 55. You’ve befriended someone with access to a boat. 56. You’ve won free parties at bars around town several times. 57. You’re unable to remember a night you’ve spent at Lincoln Karaoke, but know you had a great time. 58. You can ace a citizenship quiz. 59. You're capable of biking without going on sidewalks or blowing stop signs. 61. ... and you avoid it. 62. In fact, you avoid drinking in Wrigleyville almost entirely. 63. You know when to pick your battles in discussing deep dish. 64. You know the words to the Bears fight song, of course. 65. You’ve walked through the background of a scene on Chicago Fire. 66. You have no shame for owning an electric blanket and grocery cart like your grandma. 67. You know the 24-hour Jewels for any late-night cereal and ice cream cravings. 68. You never buy Cubs/Sox/Bulls tickets at full price. 69. You’ve had your birthday party at Medieval Times. As an adult. 70. You can name three different nerd-themed burlesque shows. 71. You’ve skipped a river dyeing to do kegs and eggs at home. 72. You’ve made friends with at least one bartender. 73. You know where to get the best free grub. 74. 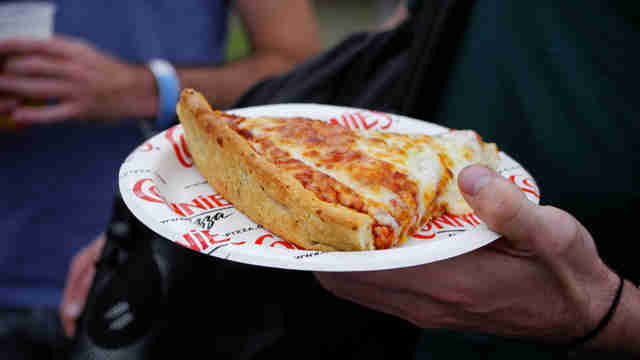 You know where to find the best food in every stadium. 75. You’ve got go-to restaurants in both Chinatown and Argyle. 76. You've survived a costumed 5K race. 77. You’ve played on the playground at Maggie Daley Park. 78. You’ve met friends at a dive bar in -15 degree weather. 79. You shop anywhere other than the Magnificent Mile. 80. You’re read up on The Devil in the White City. 81. 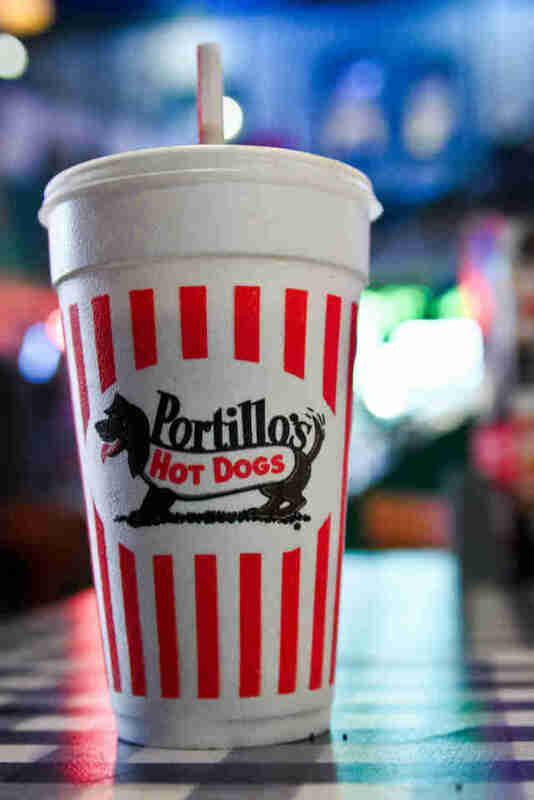 You’ll indulge in guilty pleasures like a Portillo’s Cake Shake. 82. You’ve listened to a concert at Wrigley by peering through the gate on Sheffield. 83. You've jammed out at the Chicago Cultural Center. 84. You’ve got a favorite used book store. 85. You know which busses go express. 86. You’ve made some bad decisions at Berlin. 87. You’ve had a Rainbow Cone. 88. 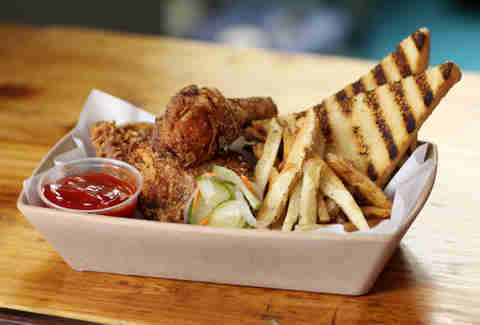 You've had the best fried chicken in all of Chicagoland. 89. You’ve sat in Capone’s booth at The Green Mill. 91. You’re OK ordering two sides of cinnamon buns at Ann Sather. 92. You know your way around the Pedway. 93. You can debate the pie merits of Hoosier Mama, Bang Bang, and First Slice. 94. You embrace meat sweats. 95. You know there's more than one side to the city. 96. You know which alleys hide the coolest food and drink. 97. You know why that one 'L' car is empty at rush hour. 98. You don't get your hopes up for tolerable spring weather. 99. You know about "that cool bar in the basement of the other thing." 100. You've left a street festival smelling like meat, and just rolled with it. 101. You believe in Theo Epstein, Joe Maddon, and reasonable expectations. Zack Shornick is a Thrillist contributor who has never once paid full price for a Cubs ticket, but still puts ketchup on his hot dogs. Follow him @zackshornick.